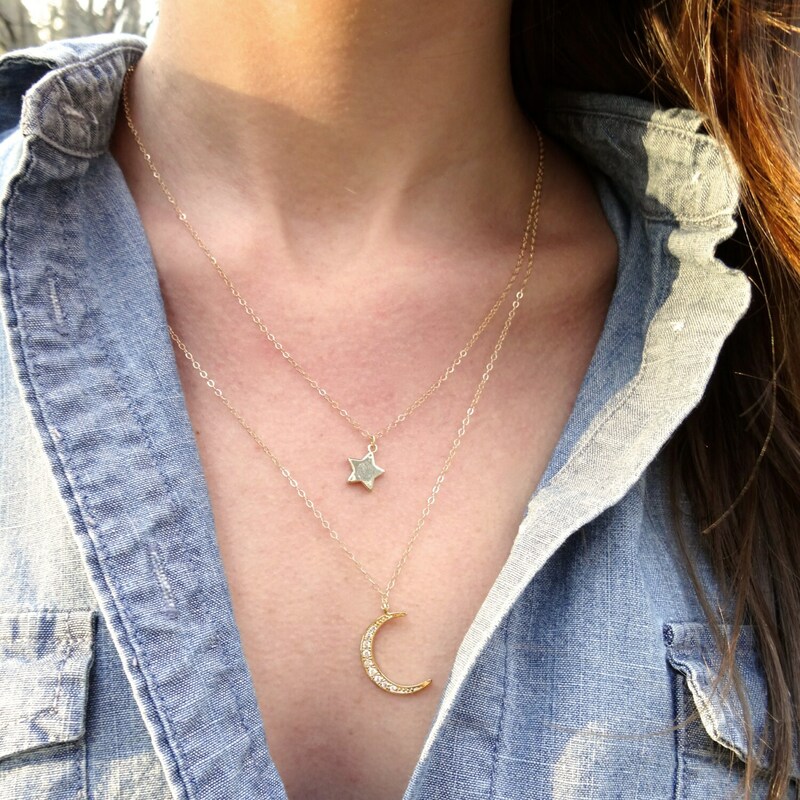 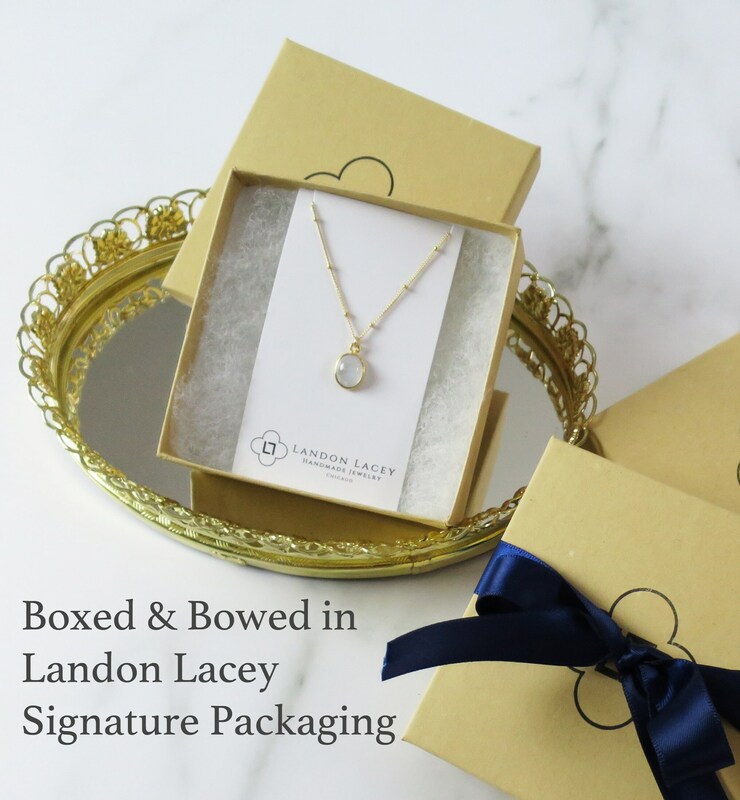 This gold pave crescent moon with a polished gold star hanging above is a delicate layered necklace set that will remind you of the beauty and power of the world!. 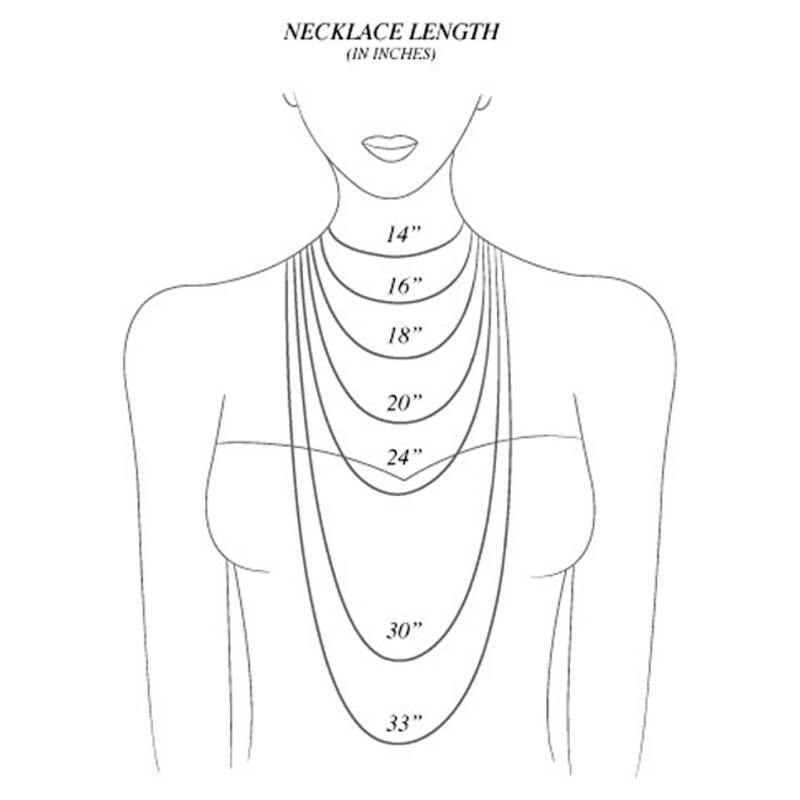 This necklace is made with gold filled chain which will retain its color for years and years. 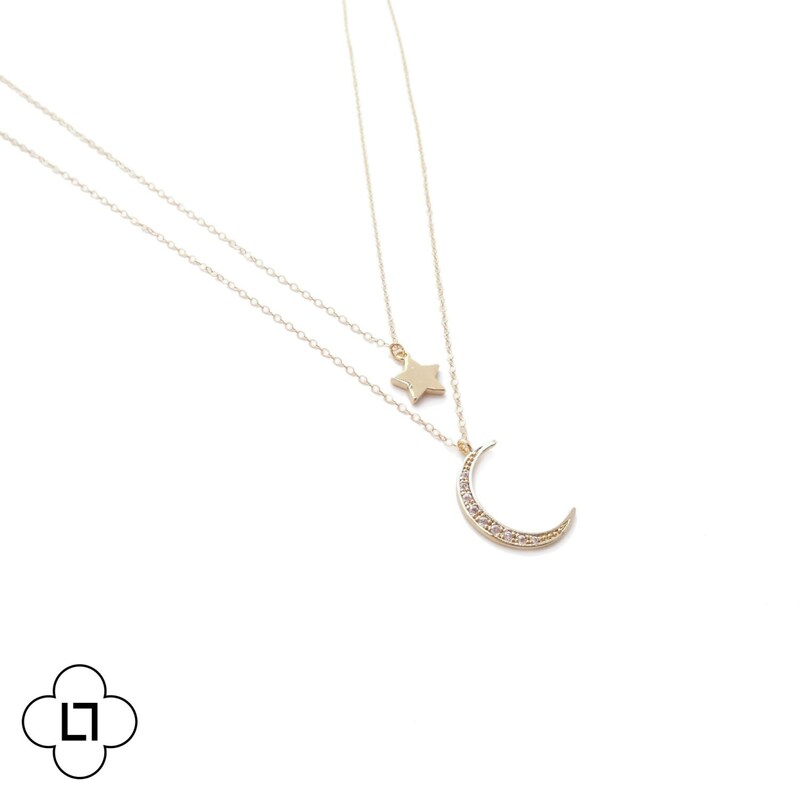 » The model is wearing the star at 16" and the moon at 18"
I love it and wear in everyday. 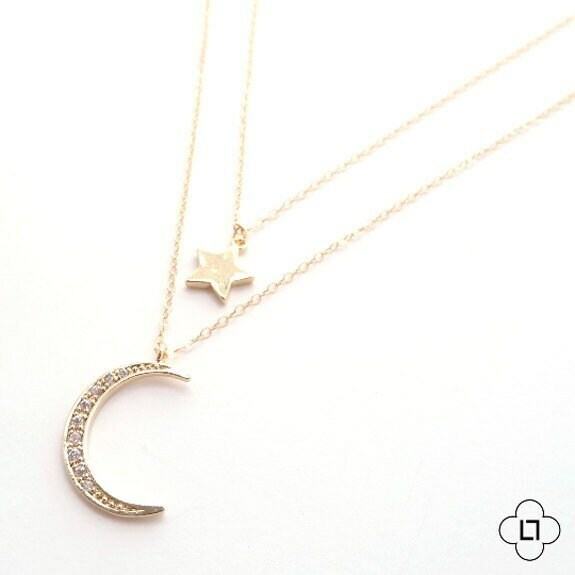 Wish the chain was a little thinner but it still looks nice.